The next generation of Grey !! Our newest cria ! 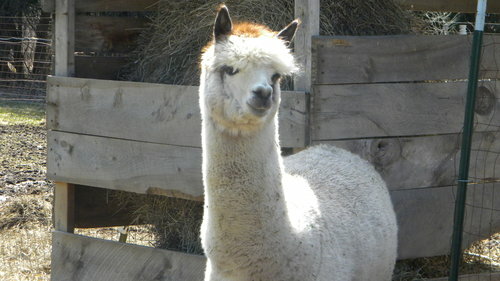 Blaze..
We are a small alpaca farm in Western New York in NY. In the beautiful hills of Allegany County. 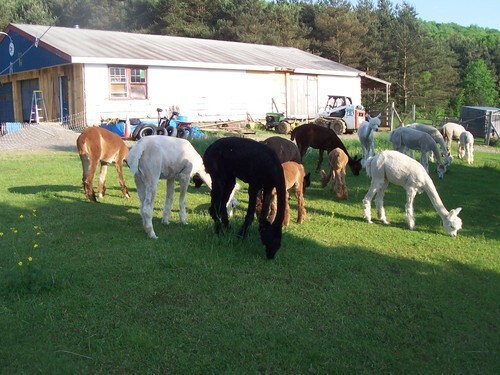 We have all colors of alpacas, many with Champion bloodlines. We have reduced prices on some, making them affordable to everyone's budget.We really enjoy our Alpacas, they are quite easy to handle and to care for. 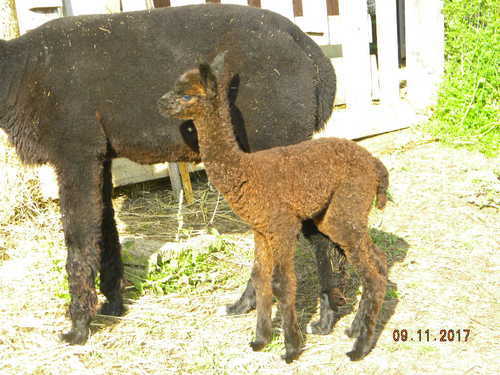 Our farm started out with 3 Alpacas, 13 years ago. We now have 16 and for us that is a very manageable size. We do as much work as we can by ourselves. We shear our own, do our own herd health and any thing else we possibly can. We have also purchased 2 Great Pyr Dogs, to protect our herd, Bella and Boomer. They are a great addition to the family. We now have a third guard dog, Bear...He is a sweetheart. Alpacas have become a very wise investment. You can look out the window & see your investment grazing in the pasture in stead of watching your investments just fly out the window with the stock market. Invest in alpacas, living proof of your investments. fiber processed into 100 % alpaca, blended and dyed yarns. Local crafters & myself make hats, scarves, mittens, rugs..all kinds of alpaca products. Alpaca is very soft, warm and feels great to the touch. properties of alpaca and alpaca blends. 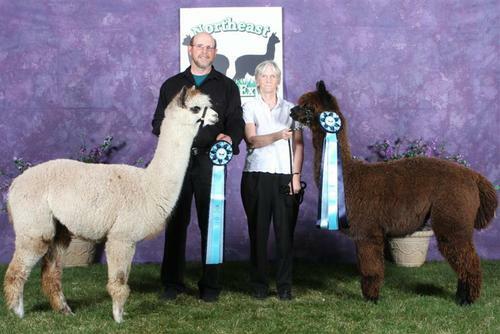 Our mission is to raise Champion Fibered Alpacas of all colors and to have a great time doing it!